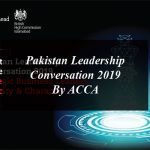 The members of the Institute of Chartered Accountants of Pakistan (ICAP) have a huge role in the economic development of Pakistan. The GDP of Pakistan is expected to grow substantially once the China-Pakistan Economic Corridor (CPEC), One-Belt, One-Road and other initiatives such as shared services become operational. With a better economy, Pakistan is going to need more and more professional Chartered Accountants. This was stated by honorable Syed Mansoor Ali Shah, Chief Justice of the Lahore High Court, who was the Chief Guest at the ICAP Gold Medal and Certificate Distribution Ceremony at a local hotel in Lahore, which was organized by the Northern Regional Committee of ICAP. He applauded the ICAP’s tremendous efforts to nurture talents and provide a well-educated workforce to enhance productivity and entrepreneurial ship that will lead Pakistan towards a brighter future. ICAP is one of the leading institutes of the country and is known for its formative work in the profession of accounting and auditing. ICAP acknowledged the outstanding performance of students and honored them with Gold Medals and Certificates on their successful completion of CA qualification. While addressing the students at the ceremony, President ICAP, Mr. Nadeem Yousaf Adil congratulated the students and their parents on their splendid success. He said that this qualification is only the first milestone of a very long journey that lies ahead of them. He added that credibility of ICAP and its members had been increasing worldwide due to high professionalism and their quality of work. He also expressed pride that students had strived very hard to acquire the knowledge and skills par excellence with international standards in the chartered accountancy profession. The high achievers who received certificates at the ceremony had demonstrated their potential to be the future leaders of the accountancy profession as they were equipped with in-depth knowledge and skills underpinned by strong values of professionalism and ethics.